Four men stood in the dock, all accused of the same murder. But their alleged victim was not some burly thug who took six men to overpower and kill him. He was a defenceless, 11-year-old boy! Charles Greeney had joined the Sea Scouts shortly after his 11th birthday, and was popular at his school. 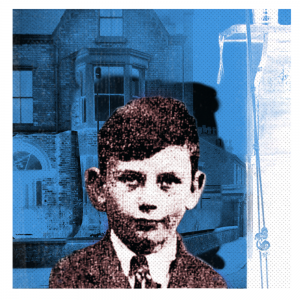 He lived with his parents at 62 Edge Lane, in the Kensington district of Liverpool, and despite his tender years he had a 14-year-old nephew, who lived nearby. Charles’s father, Mr. Charles Greeney, was a plasterer, and on Saturday nights he and his wife Mary, a money-lender, usually went out, leaving their son alone in the house, which they locked securely behind them. It was 10.15 when Charles’s nephew arrived at their home on the Saturday night of February 2nd, 1946, to see his young uncle, and he was surprised to find the front door open and all the lights on. He went in, and as he passed the drawing-room he noticed that its carpet had been removed, and a radiogram had been shifted from its usual position near a wall. Then he opened the kitchen door and saw Charles hanging from the clothes-rack rope, which was looped round his neck. The police believed that more than one burglar was involved, and that the city’s underworld would know who they were. The first arrests were made just two days after Charles’s death, and the next day three men appeared before Liverpool’s stipendiary magistrate. Two seamen, James Welsh, 25, and Charles Lawrenson, 31, were charged with the boy’s murder, and with breaking and entering and stealing seven carpets and three clocks valued at £550. And Charles Hamilton, a 31-year-old driver, was charged with breaking and entering and stealing the same items.